Since its founding in 1999, NewPush has expanded into Europe and most recently has exhibited 100 percentage growth in providing customer-centric hosting services to help businesses become more productive in a cost-effective way. The firm has garnered unique stature for its capabilities in aiding organizations manage challenging compliance requirements and IT development issues through VMware technology. NewPush has deep acumen in the virtualization landscape and uses this experience to help enterprises efficiently maximize infrastructure and application uptime. “Our partnership with VMware is important because its technology portfolio offers reliable services in the cloud. VMware provides us with advanced features to go from server uptime all the way to application uptime,” says Balázs Nagy, Co-Founder and CTO, NewPush. NewPush’s hosted services assist enterprises in designing, planning, and deploying industry-specific virtualization and cloud computing solutions. NewPush leverages VMware technology to facilitate seamless deployment of virtual desktop infrastructure on the customer’s sites and uses Software as a Service (SaaS) enablement to help customers maximize their uptime. “With the SDDC, we virtualize the entire data center including compute nodes, storage, network components, and cybersecurity,” says Rene Sotola, CEO, NewPush. The firm’s managed services, which include infrastructure as a service (IaaS) and software as a service (SaaS), help organizations simplify software lifecycle management and infrastructure maintenance. “We do cost calculation predictably making budgeting easy” adds the CEO. NewPush is also investing to leverage VMware technology for enhancing Big Data workloads through open standards like OpenStack. For example, VMware Big Data extensions allow Hadoop and HBase workloads. 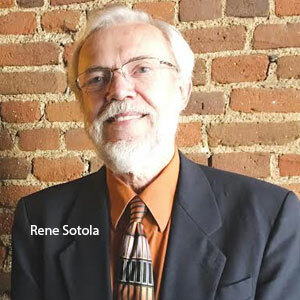 “NewPush can very easily add Big Data extensions and allow infrastructure to be Big Data ready,” explains René Sotola. In addition, NewPush is also looking to utilize the prowess of VMware technology in the DevOps ecosystem to enhance the application development lifecycle. “NewPush enables VMware-based DevOps technologies to allow developers to run Dockerized workloads directly. VMware NSX facilitates maintaining PCI / HIPAA / FedRamp compliance, while allowing for short release cycles,” added Balázs Nagy. NewPush’s efficacy in implementing best practices to create IT architecture to address business compliance needs has resolved complexities for many global enterprises. For instance, a customer approached the firm to successfully deploy a PCI-compliant environment with legacy applications and maintain data security. The customer needed to achieve PCI compliance for their new offering. NewPush architected a solution with VMware NSX, enabling firewalling and micro-segmentation capabilities, which easily got approved by their Qualified Security Assessor. NewPush installs, configures, and administers virtual networking implementations while gaining the ability to take up an application with a high risk profile and apply sufficient controls to meet compliance. Besides carving a niche in the VMware technology arena, NewPush’s management is pushing the envelope to empower enterprises to make better and productive decisions through Big Data and IoT applications. For this purpose, the firm is partnering with proven solution provider Brainwave, a company which specializes in identity analytics and intelligence. Furthermore, to serve its customers with a better reach, NewPush is planning to geographically expand its hosting capabilities to include Australia and Asia.